The fourth-largest smartphone maker Xiaomi are planning to go public, and the company will start a roadshow in the U.S and Europe in a few weeks. After a collaboration with institutional investors in the U.S and Europe to value the firm at no less than $70 billion, the Chinese smartphone giant will go public in Hong Kong in July. In my recent article I talked about Foxconn and their plans to go public a week ago, and more Chinese companies are on the way, One of them is Xiaomi, and their IPO is the biggest IPO so far in 2018 which is good for Hong Kong. Hong Kong is on the way to be the destination of choice for global companies seeking to raise capital. Hong Kong marks the 21st anniversary of the citys return to Chinese sovereignty on July 1, and Xiaomis IPO can be a great birthday present to Hong Kong. Xiaomi went from a start-up to surpass $16 billion in seven years, and their founder Lei Jun decided to make a smartphone brand selling handsets at “honest” prices. Eight years later, Lei Jun and the seven other co-founders have made a company that wants to challenge the global industry dominance by Apple, Samsung and Huawei. Xiaomi are the cheapest smartphone on the market with the biggest market share in India. 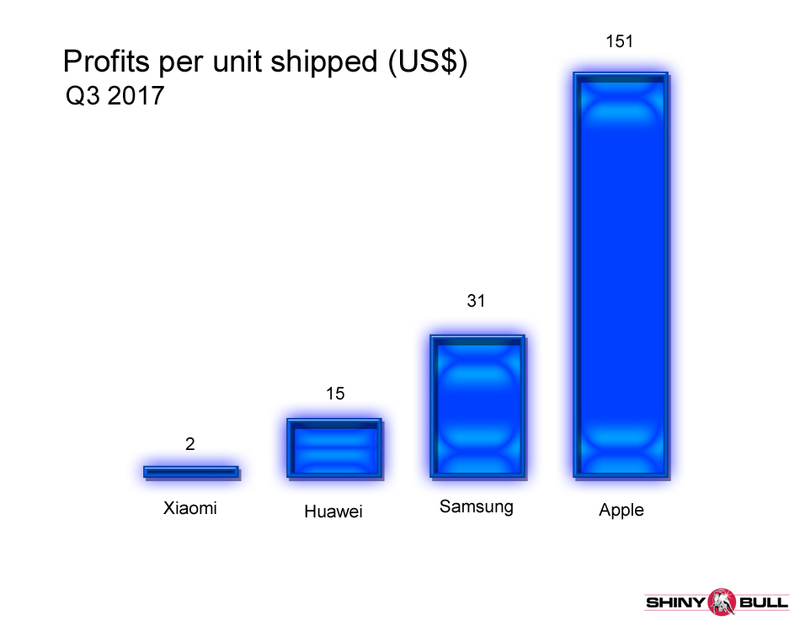 About 70 percent of their 2017 sales of 114,6 billion yuan came from smartpones, but there is a huge difference between Xiaomi and Apple. Lei Juns profit from his low-budget price smartphone is "only" $2 per handset. Tim Cooks margin is between $151 and $250 on each iPhone. Xiaomi more than doubled its overseas shipments to 27 million handsets in 2017. Its revenue skyrocketed to 32,1 billion yuan. There is no doubt that the global market is where their ambitions lie, and this is globalization at its best. Xiaomi opened its first European sales outlet in Paris and plans to open additional Mi stores in France, Spain and Italy later this year. Xiaomi do not only have a big potential with its smartphones but also from smart devices, better known as the Internet of Things (IoT). Industry revenue may balloon every year at a 13,3 percent compounded growth rate to $6,2 billion by 2021, according to IDC. Their innovative products will make a tremendous change in every industry. Xiaomis valuation can be $100 billion and it will be the biggest IPO since Alibaba in 2014. Alibabas IPO was the biggest IPO of all time with its 25 billion IPO in New York. Facebook went public in 2012 with an $16 billion IPO. Former communist China are on the way up. This IPO will make even more rich people in China. Founder Lei Jun and his co-founders will be rich after the IPO. Not only that. 56 of the earliest employees pulled together $11 million to invest in the start-up. Today, they are the lucky 56. Their stake in Xiaomi may soon be worth about $1 billion to $3 billion, depending on the stock sale. That works out to $36 million each at the midpoint. Citic-CLSA, Goldman Sachs and Morgan Stanley had been appointed to arrange Xiaomi`s stock offer. The global economy is more globalized today than during the peak of the early 20th century but will the open global economic order endure? Globalization is one of the main reasons why President Trump was elected. He is now a President in the U.S because he often talked about their existing trade agreements, threatened to slap taxes on U.S companies investing overseas, renegotiate or withdraw from NAFTA, abandon support for the TPP, label China a currency manipulator and establish tariffs to name a few things. President Trump did a lot of important things on his first 100 days and there is more to come. Welcome to the new world. A new era started when Mr Trump was elected. The U.S is the world`s largest economy measured in market dollars. It is also the third most populated. Therefore, a withdrawal from the global economy is measurable, but America is not as globally integrated as we might think. The U.S is the third biggest exporter, yet exports account only 13% of GDP. Main exports are capital goods (39%) and industrial supplies (28%). Others include: consumer goods (12%); %).automotive vehicles, parts and engines (10,5%); foods, feeds and beverages (7%). Main exports partners are: Canada (19%), Mexico (14%), China (7%), Japan (4%), Germany (3%) and the United Kingdom (3%). Exports of goods and services rose to an all-time high of USD 200,2 billion in November 2017. The United States is also the world`s second largest importer. Main imports are; capital goods (29%) and consumer goods (26%). Others include: Industrial supplies (24%); automotive vehicles, parts and engines (15%); foods, feeds and beverages (5%). Main Import partners are: China (19%), Canada (14,5%), Mexico (12%), Japan (6%) and Germany (5%). Imports of goods and services rose to an all-time high of USD 250,7 billion in November 2017. The United States has been running consistent trade deficits since 1976 du to high imports of oil and consumer products. The biggest trade deficits were recorded with China. The U.S recorded a current account deficit of -2,60% of the country`s GDP in 2016. 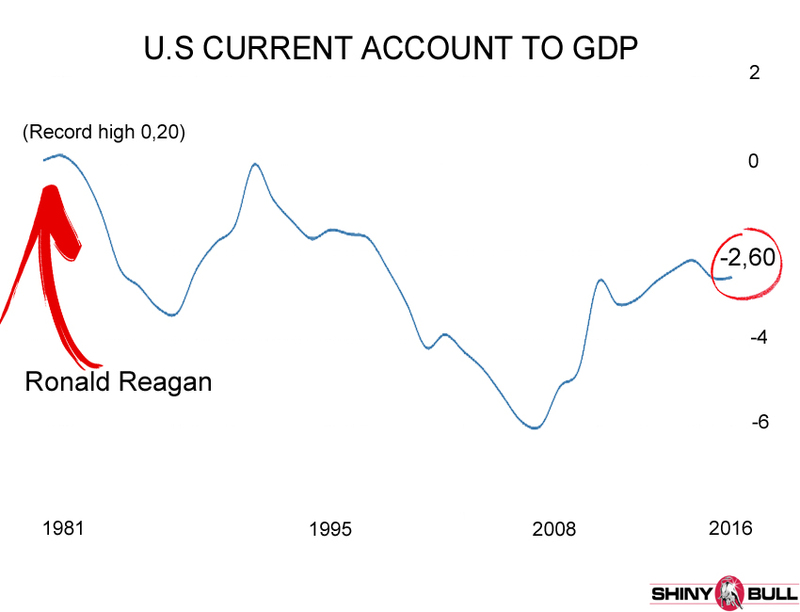 It reached an all-time high of 0,20% when Former President Ronald Reagan was inaugurated in 1981, but it declined all the years under his presidency. Other countries can retaliate against Trump`s protectionist policies and that can start a trade war. But so far, so good. With an all-time high in Exports and Imports, Mr Trump must be doing something right. If other countries don`t like the U.S liberal economic order, they can repudiate global norms and institutions that underpin the globalized economy. There is no doubt that emerging markets have benefited most from the open global economy, and we can clearly see members of the TPP seek to patch together the deal without the U.S. But what happened to the first wave of globalization? The historical origins of globalization are the subject of ongoing debate. Let`s take a look at the globalization in the modern era. There are three epochs characterised by greatly increased international integration. Europe and North-America were strongly affected by internationalization from 1860 to 1914. The flow of goods accelerated and capital moved freely between countries. Financial integration was more pronounced that it is today. Even international migrants was greater than it is today. 60 million people left Europe to seek their fortunes in the New World. Important drivers behind the first wave of globalization were both the new technology and the fact that many countries began to embrace liberal trade policy after years of protectionism. During the period 1500 – 1800, world trade increased by about 1% per year. After 1820 it increased by 3,5% and during the nineteenth century as a whole, trade in Europe increased by 40%. Great Britain was the world`s leading economy and the basis for the European free trade system was 1860 free trade pact between Great Britain and France. Many other European countries subsequently aligned themselves with this free trade system. Great Britain had introduced the gold standard in 1816 and during the nineteenth century the English pound sterling was the generally accepted currency of international business and many other countries introduced the gold standard. Great Britain was the economic leader, but that Empire ended after World War II. The second wave og globalization started at the end of World War II and the new economic leader was USA. The American Empire started. In the first wave we saw innovation of telegraph, steam engine, electricity and internal combustion engine. In the second wave jet plane was introduced. So was television, communication, satellites and container traffic. The third wave started around 1980. It was a digital revolution and it refers to the advancement of technology from analog electric and mechanical devices to the digital technology available today. Advancements during the Third wave include the personal computer, the internet, and information and communications technology (ICT). 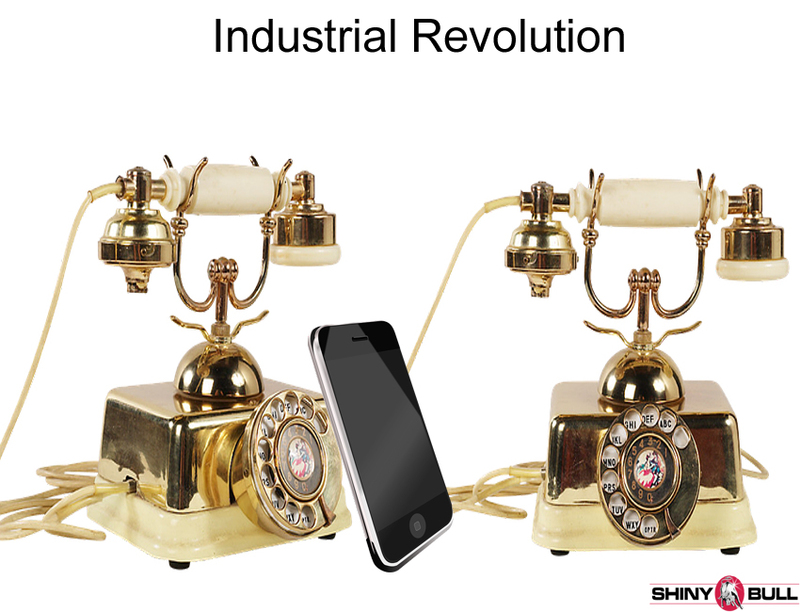 Now, we are here: the Fourth Industrial Revolution. The fourth wave builds on the Digital Revolution, representing new ways in which technology becomes embedded within societies and even human body. 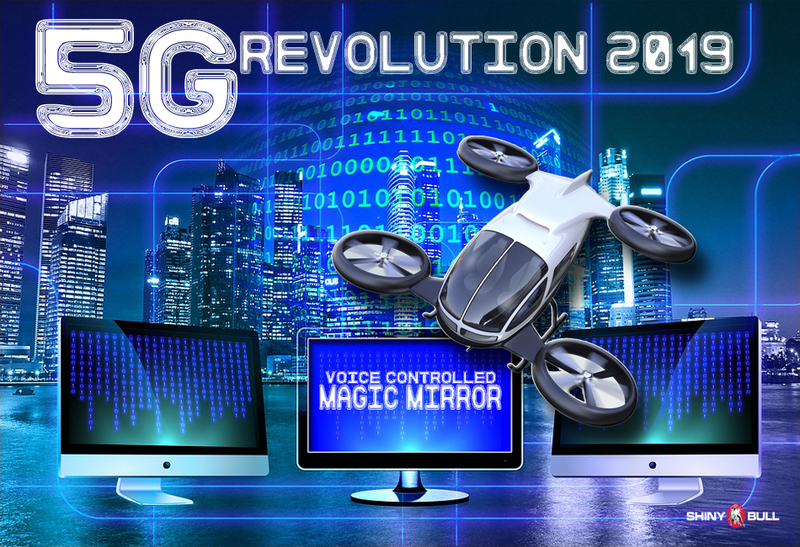 It is marked by emerging technology breakthroughs in a number of fields, including robotics, artificial intelligence, nanotechnology, quantum computing, biotechnology, the Internet of Things, #D printing and autonomous vehicles. The founder of WEF (World Economic Forum) Klaus Schwab is expected to see the heavy implementation of several emerging technologies with highly potential of disruptive effects. Globalization collapsed after World War I, but resurgent after World War II. The breaking of globalization`s first wave a century ago is proof that the forces of global economic integration are neither irresistible nor irreversible. Americas view on globalizations future has changed. For all I know, maybe Trump and his team are much less assured that the open global economic order will endure. The global economy is more globalized today than during the peak of the early 20th century. Whether that implies globalization has reached unsustainable levels, or that no such levels exist, remains to be seen. International trade has grown faster than total production. Ben Bernanke once said that he can do something with the monetary policy but he cannot do something with the productivity. We are now living in a truly exciting phase of global economic development. Amazon continue to rise up and the average 12-month price target is about $750, which means the company has the potential to jump another 20%. Not a surprise for bullish investors were about 90% is bullish on that stock. 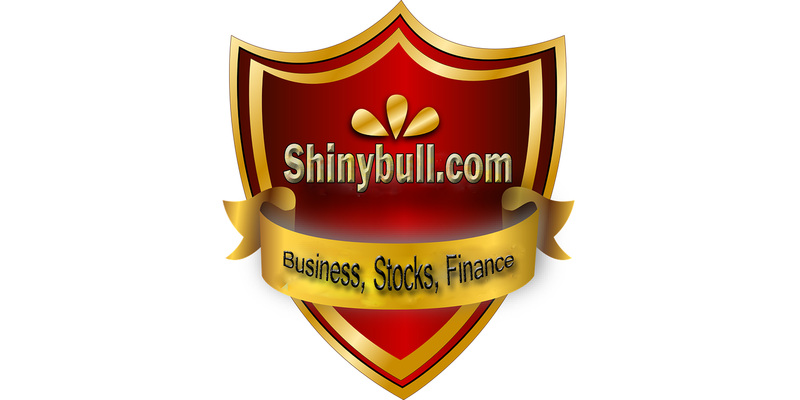 The e-commerce giant will post first quarter earnings on Thursday 28 April after market close, and it`s expected to post EPS of $0,64 on $28 billion in revenue which is three cents higher than Wall Street on the bottom line and around $60 million higher on top. Since the start of the quarter, estimates have fallen 6% for EPS but increased 2% for revenue. Despite the decline estimates, profits are anticipated to increase and so are revenue. Amazon have been posting losses, ut is coming off three straight quarters of profitability. Amazon Prime and the dominance of Amazon Web Services (AWS) is expected to carry the retailer this year. 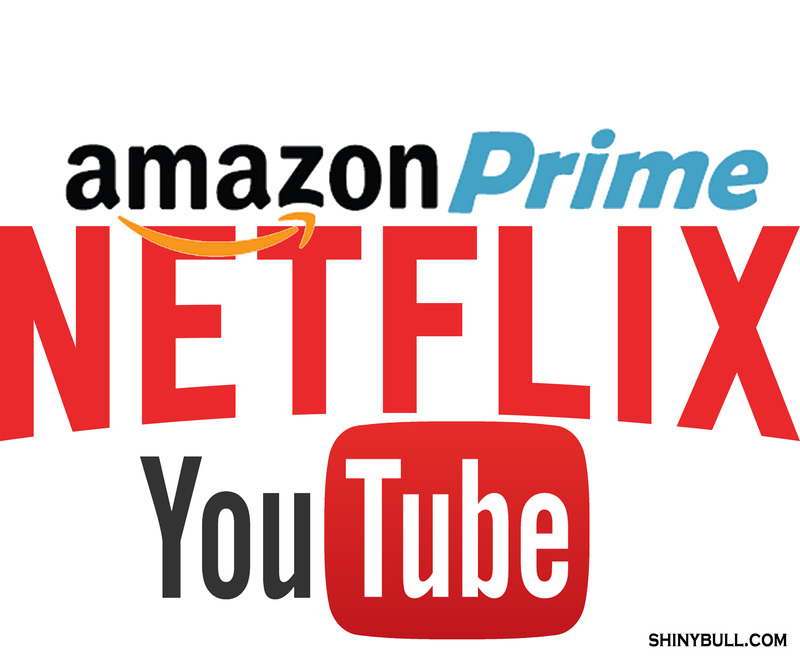 They have doubled it membership in Amazon Prime for the past two years, and that is up 54 million, and almost half of all adults in the U.S have Prime subscriptions. AWS is the leading in the cloud infrastructure industry, representing about 30% of the market, and large enterprises such as Netflix have migrated to AWS to be its platform provider which validates their credibility and reliability. A study showed that Amazon had a better catalogue of Prime Video movies on TV shows compared to Netflix. According to Barclays, Netflix`s overall catalog has experienced a slide of up to 28% over the past year. Mark Fahey revealed that Amazon offered a better deal in terms of amount and quality of video streaming compare to Netflix. Additionally, it had more titles with high ratings from users, and quality is of more importance than quantity. Having a platform with a great library is not enough while quality that is offering constantly refreshed content will be vital in the future. it`s a shift from licensing non-exclusive content to original series and movies that one can get anywhere else. Netflix has a budget of $5 billion on content in 2016 and that number will rise to about $6 billion in 2017. That doesn`t mean the entertainment value will increase. While Amazon and Netflix are fighting we can see a third player in this game, and that is YouTube with its amazing content. Amazon has expanded its web services in five new regions this year, including China, India, and the U.K. Heavy investments in global expansion on top of Google and Microsofts ascension in cloud computing will put pressure on Amazons margins. Expected growth in cloud computing and IoT should make a great outlook for Amazon as they continue to expand their web services. Internet of Things (IoT) will become the biggest business ever! You can read more about it in my article; The Internet of Things (IoT) dated September 3, 2014. Many companies will try to position them self in the new market. Hitachi is one of them. Hitachi, Ltd is a diversified company. Information and Telecommunication System segment offers system integration services and automated teller machines. Electricity System segment offers power generation systems. Social and Industrial System segment offers industrial machinery. Electronic Device and System segment offers liquid crystal displays. Construction segment offers hydraulic shovels and wheel loaders. High Functional Material segment offers electric wires and cables. 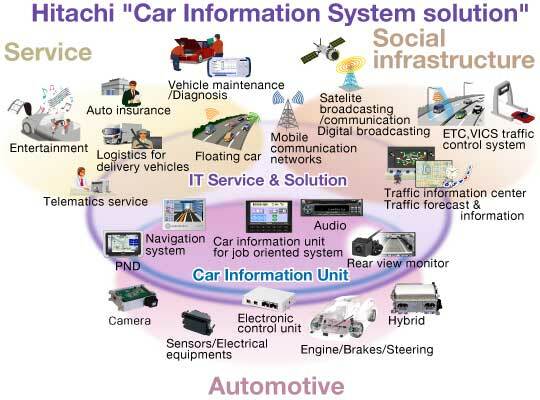 Automotive System segment offers engine management and in-car information systems. Digital Media and Consumer Product segment offers optical disk drives and refrigerators. The Others (Logistics and Service) segment provides logistics, real estate related services. Financial Service segment offers leasing and loan services. Japan`s $100 billion conglomerate see big opportunity in IoT and expect to earn billions in this business by 2020. Their goal is to enter this business by combining the technology capabilities of their subsidiary Hitachi Data Systems and data from millions of sensors that they already have installed in industrial equipment over the years. Hitachi is not only trying to focus on industrial solutions but do what others are doing right now; focusing on smart cities and driverless cars. Connected healthcare systems is also a market they want to penetrate. CEO Hiroaki Nakanishi said Hitachi need to change their business model rapidly. Hitachi have what it takes to take a big stake in this market, but they need to change to a pure IoT company and try to use the sensor data they have today in their new components that they want to sell in the new market. CEO Hiroaki Nakanishi is best known as a turnaround business leader, and Hitachi is now looking to pursue global expansion aggressively. Focusing only on becoming Japan`s No. 1 is not enough. Through acquisitions, they want to grow and be bigger in Europe, China and the Middle East. Hitachi see big opportunities in Europe`s railway sector, and have a track record in the U.K. This is why the company is looking for more businesses to acquire and also enter into strategic partnerships to better penetrate the European market. They recently inked an 809 million euro deal to acquire rail assets of Finmeccanica, and moved closer to its competitors like Siemens, Alstom and Bombardier in the rail signaling segment. Hitachi hopes the acquisition will help their expansion in Australia, New Zealand, India and the Middle East. Hitachi is down -8% YTD. Market Cap is 33,33B, and P/E is 15,12. The stock Hitachi, Ltd (OTCMKTS: HTHIY) is trading at $69,00.